You’re looking to hire a new employee but you’re not sure what information you need to include in your job description. A Job Description is critical for both the employer and the employee. For the employer it allows you to focus on exactly what skills and experience you’re looking for and from an employee’s perspective it details what their roles and responsibilities are in their job so they know what you will expect of them. 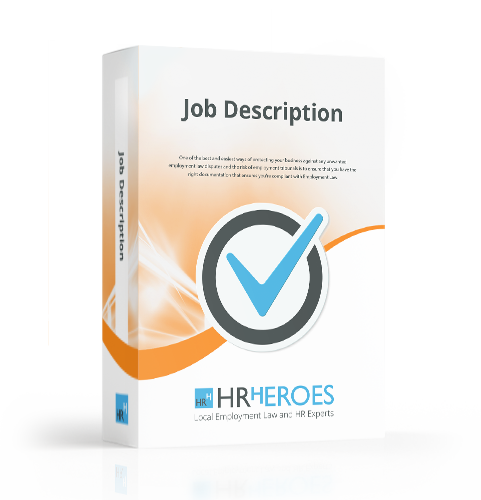 HR Heroes Job Description Template details the areas you need to define, so that everyone knows where they stand and that you know you can make the right hire, first time.